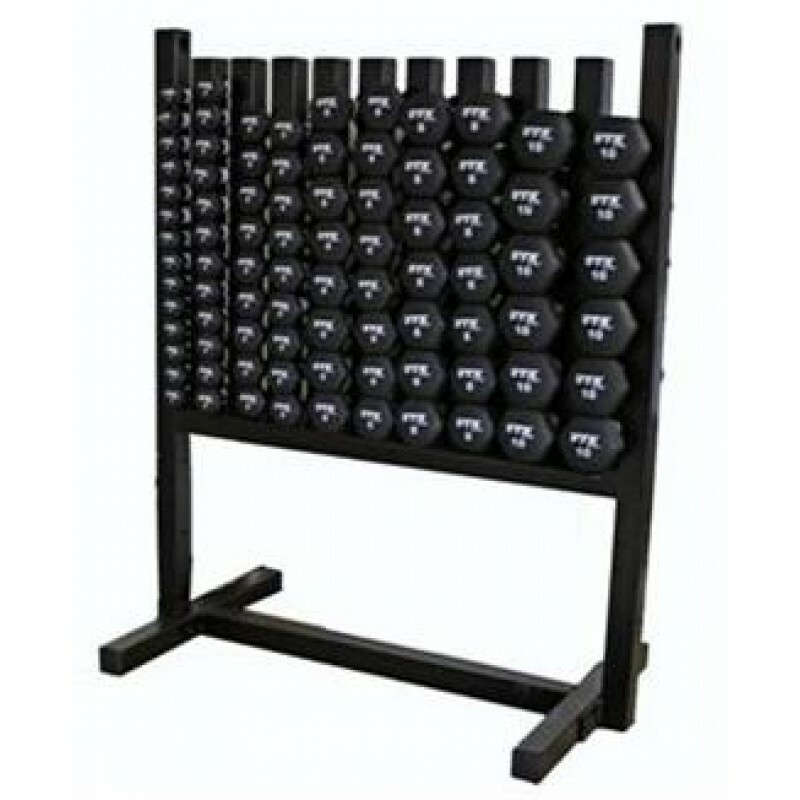 Aerobic Pac- Locking Rack & 43 Pairs Of Neoprene Coated Dumbbells, Available in: 14-1 lb., 12-2 lb., 18-3 lb., 16-5 lb., 14-8 lb., 12-10 lb. The Aerobic Neoprene Pac features easy-to-stack compartments providing an attractive, convenient way to secure, store and display your aerobic dumbbells. Our Aerobic Pac will also accommodate sizes 1 through 10 lb. in 1 pound increments. This Pac includes the locking rack and 43 pairs of neoprene coated dumbbells (see options). Some of the finest aerobic equipment can be found at TROY Barbell. We carry the highest quality vinyl and neoprene coated dumbbells on the market today as well as our popular aerobic pacs, racks, casters and accessory racks. We carry our TROY Lite Workout Strength Training Sets and our TROY body bars are perfect for group exercise. Get in shape with TROY Barbell!